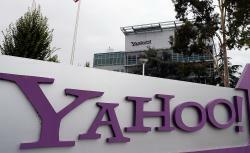 Yahoo’s new logo, in its home and away uniforms. After teasing people for 29 days with 29 different riffs on the Yahoo logo, the erstwhile search giant unveiled the real thing on Thursday, to mixed reviews. On the down side, it’s still sort of ugly. On the up side, at least it’s better than this one. 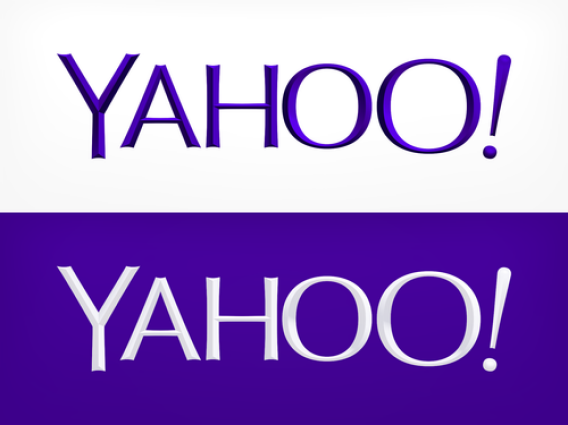 We knew we wanted a logo that reflected Yahoo—whimsical, yet sophisticated. Modern and fresh, with a nod to our history. Having a human touch, personal. Proud. The old logo, as seen on a sign at corporate headquarters that someone’s probably going to have to replace now. Really, though, it doesn’t matter whether the new logo per se is a winner or a loser. Yahoo is clearly the winner here, inasmuch as it has managed once again to get people talking about it in the context of change and new beginnings. Say what you will about Mayer, she’s a virtuosa at finding new ways to hang “UNDER NEW MANAGEMENT” banner from the eaves of every once-moribund Yahoo property. From the working-from-home prohibition to the Tumblr acquisition to the big email reset to the redesign of major Yahoo pages, Mayer has put her stamp on the company in innumerable ways in just over a year since taking the helm. For (much, much) more on Mayer’s background and tenure at Yahoo, check out Jacob Weisberg’s Vogue profile and Nicholas Carlson’s epic “unauthorized biography” in Business Insider.